Protection from Fireplaces, Stoves, AGA Cookers and Room Division. Ensure the safety of your child with the market leading Baby Dan Configure System. 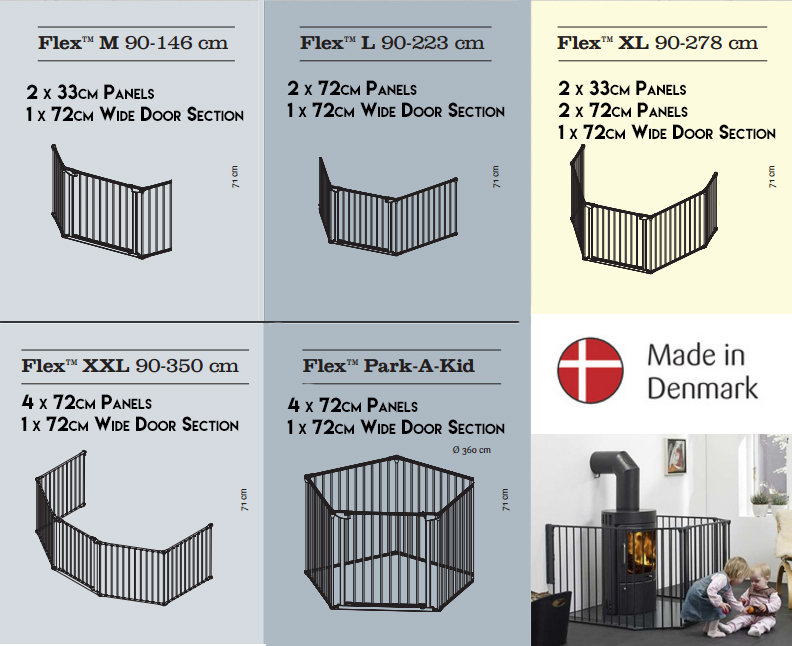 Featuring a selection of flexible panel units that are purposely designed to protect your child from the dangers associated with Hearths and Fireplaces. 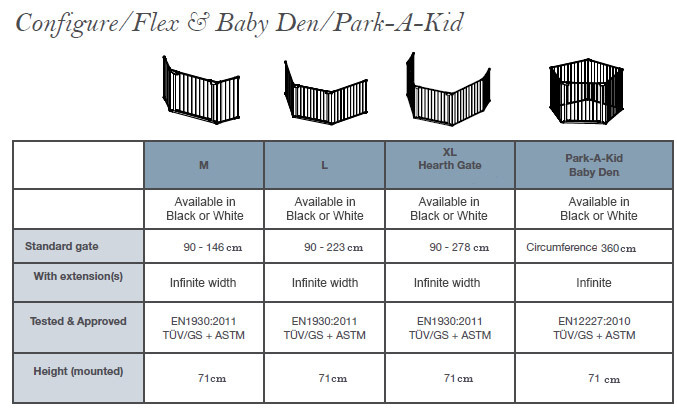 The Baby Dan Configure Flex XL Hearth Gate can multitask as a hearth/fireplace protector and a room divider as required. Featuring an extra wide door section that allows for easy access, a double locking handle for increased safety and quick release fittings, the Baby Dan Configure Flex can be dismounted from the wall without use of tools and can be opened by an adult using only one hand for added safety.